tōu tōu mō mō de. It is something that is hard to ignore. Sometimes when I try to sleep, but my stomach is yelling. There is only one solution if I want to sleep. Because my husband is sleeping, I must sneak out of bed. It is like I am a little child again. Probably every child has snuck something to eat…. Sometimes, I am not trying to sleep. Sometimes we dance until midnight. That uses a lot of calories. Often after dancing, we go to McDonalds to by French fries. I think that French fries eaten at midnight are the most delicious. I think McDonald’s has the right idea. Their job is to be ready. If the customer wants a snack, always be ready at any time to sell it to the customer. ❶ In English, most of us think that saying we are going to find a midnight snack implies eating it, too, but apparently the structure of Chinese needs the additional confirmation that the plan is to eat it when found. ❸ Even though “every” has already been specified, it is common in Chinese to add the 都 ㄉㄡ (dōu) “all” for emphasis. ❺ After a while, you start to get used to the fact that positional words come after the noun or verb involved. ❻ One of the more difficult things for me in Chinese is the lack of capitalization, due to the nature of the written characters, to designate proper names. 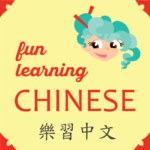 ❽ The first time I wrote this sentence, I only used the 賣 ㄇㄞˋ (mài) “to sell”, and didn’t use the 給ㄍㄟˇ (gěi) “to give,” but instructed that without the adding the 給 ㄍㄟˇ (gěi) after the 賣ㄇㄞˋ (mài), one is speaking of “selling the customer”, not “selling TO the customer.” Oops. 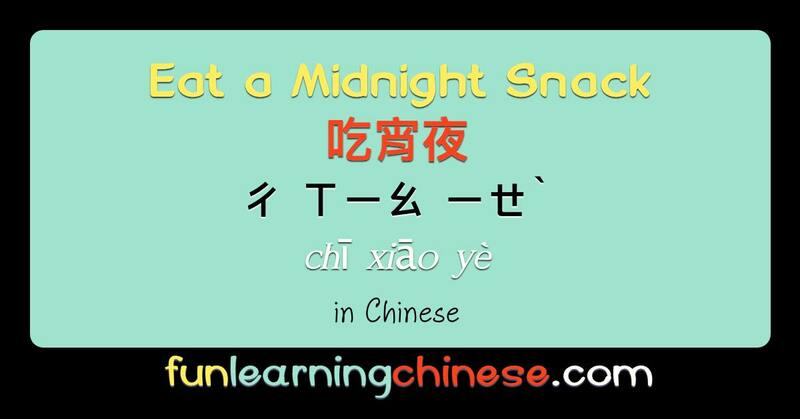 ❾ The Chinese 宵夜 ㄒㄧㄠ ㄧㄝˋ (xiāo yè) can be translated either “late night” or “midnight,” really meaning any snack that is well after normal evening meal times.